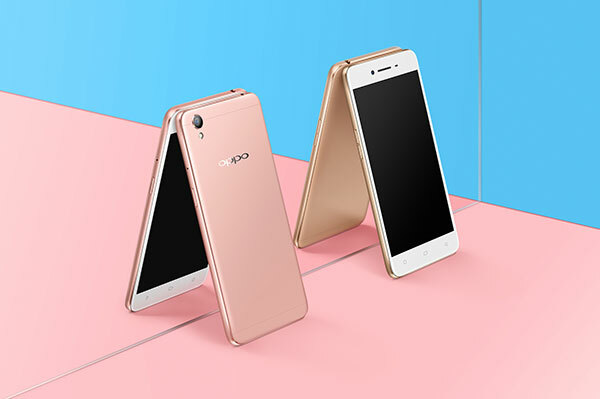 Global smartphone brand OPPO, known for their meticulous design and trendsetting technology, has now announced a new product named A37 which is due to hit the Philippines on July 1, 2016. Priced at PHP 8,990, the OPPO A37 highlights its front beauty camera with extra-large 1.4um pixels and a 1/4-inch sensor. This permits more light to enter the camera, allowing its users to have bright and natural-looking selfies. The A37 creates selfies that definitely stands out. With its front camera which uses a 1/4-inch sensor and BSI+ (backside illumination), along with the largest pixel size in its price segment, you can rely on A37 to produce some seriously brilliant selfies. Reviewers might also want to test out its upgraded Beautify 4.0 technology and Screen Flash feature which is perfect for snapping selfies especially in low-light conditions. Apart from that, you may also want to give the Palm Shutter and Voice Shutter features a try for easier and automatic countdowns. Of course, don’t forget the Selfie Panorama to capture the whole party in just one shot! The OPPO A37 is much of a smartphone in its price. It sports a sleek, flowing design, and a durable magnesium-aluminum alloy chassis, elegantly carried out in the compact 136-gram weight device. It also has smooth rear panel. It is protected with Corning Gorilla Glass on a 5-inch 2.5D display, making it delicate-looking but undeniably tough. Moreover, it would be a pity to overlook its two excellent cameras, its fully upgraded ColorOS 3.0, its triple-slot tray for two 4G-enabled sims, and of course, its amazing capability of capturing above excellent photographs. 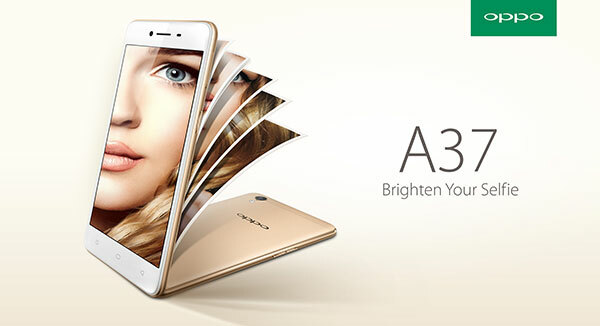 Extra-large Pixels for Bright, Natural Shots: The OPPO A37 uses a 5-MP front camera with a 1/4-inch sensor and an 8-MP rear camera with a 1/3.2-inch sensor – both of which use extra-large 1.4 μm pixels. These cameras also feature backside illumination (BSI), which, in combination with the large pixels, maximize light capture and minimize noise, so users can take bright and natural-looking photos even in low-light conditions. Screen Flash for Low-Light Selfies: For nights out, selfie snappers can rely on the camera’s upgraded Screen Flash feature, which converts the A37’s entire display into a camera flash. Screen Flash’s carefully adjusted brightness level is optimized to get natural-looking shots, at all hours of the night. Natural and Beautiful - Beautify 4.0: To ensure that users always look their best, OPPO has also upgraded the A37’s photo-processing algorithms. Backed with data from millions of users, Beautify 4.0 has been optimized to capture selfies with bright, clear skin, and beautifully defined facial contours. The feature has been carefully crafted to highlight beauty, but never at the expense of feeling unnatural. Fun, Flexible Selfies: The Palm Shutter and Voice Shutter functions offer fun and practical ways to capture life’s best moments. All users have to do is wave a hand in front of the camera or simply say “Cheese!” to activate an automatic shutter countdown, leaving them free to get the shot just right and keep the camera stable. Anyone Up for a Groupfie? : The Selfie Panorama feature allows users to take extra-wide 120° front-facing photos, as the A37 seamlessly combines three photos and gets the whole group in the shot. Faster, Smoother, Lighter: The A37 uses OPPO’s newest verson of ColorOS 3.0 - fully upgraded for faster, smoother and more efficient performance. Combining a leaner design and purpose-built optimizations for a range of common use scenarios, ColorOS 3.0 has a running speed that is more than 20% faster than the previous ColorOS 2.1, with home screen loading speed increased by 35%, and installation speed for a wide range of the most popular apps increased by 41%. Maximize the Battery Life: ColorOS 3.0 intelligently manages background apps to maximize battery life. This feature, allows the OPPO A37’s 2630mAh battery to cruise through 13 hours and 45 minutes of constant heavy use. Protect your Privacy: ColorOS 3.0 allows users to easily designate any contacts, apps, files, or other content as private. When users activate the feature (for example, when lending the phone to a friend), all private info will be hidden automatically so the user can share the device without any worry. Eye Protection: OPPO’s unique 3-mode eye protection feature filters the blue light of the screen to protect your eyes. Lock Screen Magazine: Every time a user switches the A37 on, the lock screen changes to another inspiring image. Convenience and Flexibility: Dual SIM slots support 4G networks with top speeds of up to 150 Mbps and make surfing the web or watching online videos a breeze. Meanwhile, a third slot offers memory expansion of up to 128 GB so users have plenty of room for all of their favorite photos, videos and files. Indian consumers can also enjoy support for VoLTE technology, allowing 4G HD voice calls. High-fidelity Performance: Dirac HD Sound brings high-fidelity stereo sound output for both earphones and speakers, so you can listen to music at a level of quality that is as close to the original performance regardless of which music player or APP you use to jam out. Sleek Unibody: The A37’s magnesium-aluminum alloy chassis undergoes a gauntlet of polishing procedures, leaving a flawlessly smooth rear surface. It is expertly calibrated for a comfortable and stable grip. At 136 grams, OPPO A37 has an impressively balanced weight, giving the phone a beautifully light, but never insubstantial feel. New Rose Gold and Grey Variants: In addition to gold, OPPO is offering rose gold and grey color variants. With these three options, there’s a head-turning A37 for all tastes. 2.5D Corning Gorilla Glass 4 Display: With a pre-applied protective screen coating, the A37’s display follows the same design philosophy as the body, giving a premium look without sacrificing premium quality.